Influenza is a serious disease that can lead to hospitalization and sometimes even death. Every flu season is different, and influenza infection can affect people differently, but millions of people get the flu every year, hundreds of thousands of people are hospitalized, and thousands or tens of thousands of people die from flu-related causes every year. Even healthy people can get very sick from the flu and spread it to others. An annual seasonal flu vaccine is the best way to reduce the risk of getting sick with seasonal flu and spreading it to others. When more people get vaccinated against the flu, less flu can spread through a community. Current influenza vaccines induce neutralizing antibodies against the membrane surface proteins hemagglutinin (HA) and neuraminidase (NA) of the influenza virus. The influenza virus undergoes antigenic drifts and shifts of HA and NA genes. Antigenic drifts are small changes that happen continually over time as the virus replicates, whereas shifts are abrupt, major changes. Because of the antigenic changes—which result in new strains of influenza virus—the flu vaccine composition is reviewed each year, and updated as needed to keep up with evolving viruses. Why? A person infected with a particular flu virus strain develops antibody against that virus strain. As antigenic changes accumulate, the antibodies produces against the older HA and NA no longer recognize the “newer” version of the same antigens and, therefore, no longer recognize the original flu strain. For this reason, it is necessary to develop vaccines that induce broadly neutralizing epitopes—HA and NA epitopes that remain unchanged even though other epitopes mutate. Current seasonal influenza vaccines mainly target HA. Now, results from a new study show that influenza vaccines that better target NA could offer broad protection against various influenza virus strains and lessen the severity of illness. The study (Influenza Infection in Humans Induces Broadly Cross-Reactive and Protective Neuraminidase-Reactive Antibodies) was published in the journal Cell on April 5, 2018. For the study, researchers analyzed blood samples from people vaccinated against influenza and people diagnosed with either the 2009 H1N1 influenza virus or H3N2 influenza viruses. They found that influenza vaccines rarely induce NA-reactive antibodies, whereas natural influenza infection induces these types of antibodies at least as often as they induce HA-reactive antibodies. The researchers then confirmed their results in mice—current influenza vaccines do not induce NA-reactive antibodies efficiently. Notably, the study results also show that the NA-reactive antibodies induced during natural influenza infection are broadly reactive—therefore, they could potentially protect against diverse strains of influenza virus. To test this theory, the researchers isolated from humans monoclonal antibodies reactive against the NA2 and NA1 variants from the H3N2 and H1N1 strains (N2-reactive antibodies and N1-reactive antibodies, respectively). They administered 13 N2-reactive antibodies to mice and subsequently infected the mice with a different H3N2 virus strain. Eleven of the 13 N2-reactive antibodies partially or fully protected the mice. They also administered 8 N1-reactive antibodies to mice and subsequently infected the mice with a similar H1N1 virus strain or an H5N1-like virus strain. Four of the eight antibodies completely protected the mice against both virus strains. The researchers concluded that flu vaccines should be optimized to better target NA in order to induce broad protection against diverse influenza strains. This post was extremely interesting. The thought that there are some vaccines that do not target Neuraminidase is frightening because of how detrimental Influenza can be. I would like to see more advancements in vaccines on targeting NA proteins. After researching this topic I found an interesting paper. The subject of the paper is binding complex behavior. The paper studied the energy levels at the binding site of various strains of the flu and found that some viral strain energy levels were similar to other strains. I would like to learn more about the energy levels at the binding sites for influenza. Further, I would like to determine if HA and NA proteins act differently in response to the binding site energy level and hydrogen bond confirmation. This information could help researchers determine if they can eliminate NA as a target due to the manner in which they bind to the receptor. It is a little strange knowing that most influenza vaccines do not target Neuraminidase (NA) proteins. Although anti-influenza drugs targeting the active site of NA has been in use for more than a decade that does not make up for the fact that vaccines have still not been developed to address the issue. This issue may stem from the fact that NA has not been approved as an effective antigenic component of the influenza vaccine because of standardization issues and that certain influenza vaccines do not include enough neuraminidase protein to induce a strong protective antibody response (1). A vaccine produced to target the NA protein would not only bring broad protection against diverse influenza strains. It would also result in protective antibodies that primarily aggregate viruses on the cell surface, which would reduce the amount of virus released from infected cells(1). From an immunological clock to the proliferation of specific cells, the body’s response to pregnancy entails a myriad of alterations in order to promote a healthy and successful pregnancy. Natural killer cells, specifically, uterine natural killer cells (uNK), plays a significant role during pregnancy. According to the article, uNK cells aid in the nourishment of the fetus during early pregnancy. According to additional research, decidual (the thick layer of mucous membrane that lines the uterus during pregnancy) macrophages are among several cells that is in abundance during pregnancy. More specifically, the interaction between the decidual macrophages and decidual natural killer cells are significant in the fetal-maternal interaction. Contrary to the article presented, this study follows the inactivation of NK cells in the decidual lining the uterus. The trophoblast secretes CXCL16 ( a type of cytokine), that promotes the polarization of the M2 macrophages in the decidual layer. The M2 macrophage polarization leads to a decrease in IL-15 production. Which, in turn, aids in the inactivation of natural killer cells and attenuates the cytotoxicity of natural killer cells. The polarization induced by the M2 decidual macrophages inhibits the ability of the natural killer cells to actually kill. Additionally, it promotes an immune-tolerant environment for a successful and healthy fetal development. Overall, the mechanisms by which the immune system undergoes in order to sustain and not reject the fetus are essential and critical. I presume the question at hand is, what is the relationship between the natural killer or uterine natural killer cells in regards to fetal-maternal interface? Considering one study illustrates the importance of their presence during early pregnancy, while the other study sheds light on their inactivation during pregnancy. Vaccines are the best way to prevent and control for certain illnesses.They are capable of preventing or reducing the severity of an illness by exposing the body to a less severe form and therefore allowing the body to produce antibodies against the illness. Each year a new vaccine is created in order to accommodate the antigenic drift that the virus has undertaken. 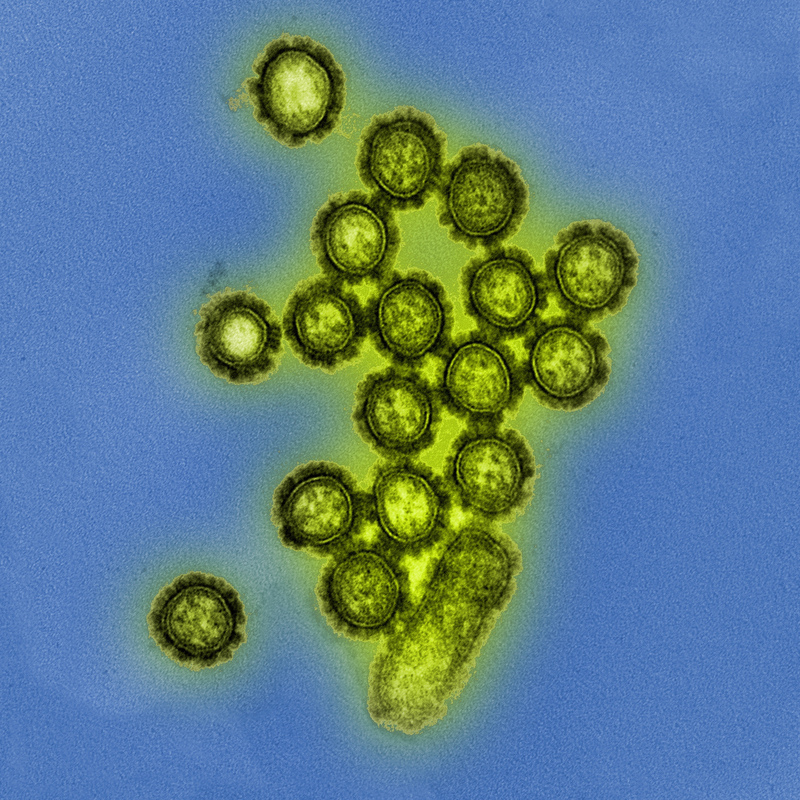 The following article https://www.ncbi.nlm.nih.gov/pubmed/25766291 poses possible approaches to refine influenza vaccines in hopes of avoiding the annual revaccination. One possible way is to increase the broadness of antibodies against the HA protein by a computationally optimized broadly reactive antigen (COBRA). The amino acid sequence of COBRA has a consensus sequence that is composed of the common amino acid sequences at specific positions from several flu viruses. Another possible approach is to widen the cross-reactivity by targeting T cells. The T cell response to the virus is targeted against the highly conservative internal proteins; the NP and M1 proteins. They produce cytotoxic T lymphocytes responses that would be more cross-reactive compared to the antibodies produced that are solely directed at the HA protein. A third way to improve influence vaccination would be to express more influenza antigens utilizing viral vectors, tools used by input genetic material into cells. Also, the vector itself is able to act as a adjuvant to improve and produce a better immune response. In the future, with continued research and experimental studies, hopefully a new and more effective way of preventing or controlling the influenza virus will be created, in hopes of avoiding an annual re-vaccination. Do you believe there any other ways to improve influenza vaccines? I believe that there are more ways to improve the vaccine. I found an article that explored creating a universal influenza vaccine by using technologies such as synthetic viruses and nucleic acid based vaccines. Synthetic viruses were developed using an error free gene assembly system and avoids the use of eggs being needed for virus propagation and prevents mutations from occurring. Nucleic acid vaccines are made of DNA or RNA sequences encoding the antigen. These vaccines are delivered by viral particles that will enter the host cell by formulation with lipids or emulsions, or by electroporation. Other technologies were discussed in throughout the article, however, I found these two the most interesting. Do you believe a single approach will be the best or do you believe that a universal vaccine would need to involve several types of techniques? Your comment led me to do further research on the use of viral vectors for bettering the flu vaccine. There is a study that looks at adenovirus 19a, a replication-deficient virus. These are ideal for mass production. Another benefit that they have is that since the genome from the virus is not easily manipulated, it does not combine with the genome of the host cell, which could lead to insertion mutation. In most studies, adenoviruses, in general, have shown to be a safe and efficient way to induce antibody and T cell responses, in other studies, they have led to higher rates of infection after vaccination. In this study, it was determined that adenovirus 19a can be used in mucosal immunizations to promote protective humoral and cellular responses. This leads me to wonder that if with further research, we can find more types of replication-deficient viruses that could improve this vaccine with greater efficacy and less risk. Thank your for your input. This was a very interesting article. The debate between the pros and cons of vaccines is really becoming a big deal to society. In the article I have attached , shows that there are some misconceptions in the understanding of vaccine usage. One live vaccine is capable of doing an antigenic shift and become infectious. While vaccine have the ability to work, they can be harmful to the individual. Aside from targeting NA and HA surface proteins, there are other proteins that studies have shown to be beneficial in attacking the flu virus, and useful in developing a universal vaccine. One of the proteins includes matrix protein 2 (M2). The virus encodes the M2 protein with overlapping frames. M2 is located in the viral envelope and serves as a proton channel. The amino acid sequence in the M2 extracellular domain (M2e) is consistent throughout the influenza A viruses, hence why it is a good consideration for making a universal flu vaccine. Vaccines that contain M2e have shown enlightening results in animal models. If interested, there is more information about the effects of the vaccine in the reference listed below. I took a closer look at what are some practical ways to use M2 proteins in vaccines. One of the problems is that M2 is only a sequence of amino acids and due to the commonality of random proteins in our bodies it is not an ideal antibody generating particle. The solution is to use the adjuvant to enhance its immunogenicity. A research team in 2006 successful used Bacillus Firmus as an adjuvant in influenza B virus for guinea pigs. It is possible that this approach can be used to create a potential vaccine while taking advantage of M2 proteins. Another, more recent study, researched a similar principle while using flagellin-fused proteins. In the study M1, M2, HA2, and NP as viral proteins were used. The results were showed enhanced immune response when flagellin-fused proteins were used. In particular, T cell response was enhanced for M2e and HA2-2 viral proteins fused with flagellin. These new techniques and using different parts of influenza prove to be very successful during trials. I have only found the reference but some scientist are trying to use plants to cultivate the influenza vaccine. Maybe it is wishful thinking but maybe influenza soon will be a disease of the past. At this point, it is only sensible to move forward with this line of research. After reading your comment I was interested in looking into the studies that considered plants as an alternative to eliminating the influenza virus. I found an interesting study done that incorporated the use of the Melia azedarach plant. These leaves of this plant were examined for their anti-influenza components in a mouse and chicken models. It was found that the haemagglutination(HA) activities of several influenza viruses were inactivated. There were four anti-influenza components found that is believed to potentially remove HA and Neuraminidase(NA) spikes from the virus. The components found were pheophorbide a, pheophorbide b, pyropheophorbide a, and pheophytin a. This find is an interesting one and I think it would be great to see if more studies like this could be pursued to lead to the discovery of the universal influenza vaccine as the inhibition of influenza growth could overcome antigenic differences. I think it’s a really good suggestion to start using other proteins to create a universal vaccine, because the sad truth is if we ever have another flu pandemic we will be very limited in controlling and containing the virus. Nucleoprotein (NP) is another type of influenza-virus protein that could potentially serve as an antigen target for a vaccine. In fact, following vaccination the nucleoprotein antigen is one of the most recognized antigens by CD8+ T lymphocytes which are capable of attacking and killing the virus. Virus-like particles (VLPs) may often prove useful in vaccine formulas as it can copy structural conformations of the influenza virus which would allow it to bind to antigen binding sites without causing the same effects as the virus. Using a combination of the M1, NP, and VLPS, along with other proteins seems promising to creating a universal vaccine. Jade, you are right on point. I also believe trying to find other protein to target is a useful way. However, I think some issues with that is the challenges we face when trying to target proteins and peptides as drug candidates. This article discusses the issues associated with targeted delivery of protein and peptide drugs at physiochemical, physiological, and intracellular levels with a special focus on cancer therapy. If our technology advances enough to make artificial products to target these proteins without damaging them, I strongly believe that we can find cure to many more diseases that we do not know today. I was curious to find out more about the universal vaccine you mentioned in your comment. In the specific study linked below, I found that MVA-NP+M1 (modified vaccinia virus Ankara – nucleoprotein + matrix protein 1) has been under a number of trials. MVA-NP+M1 consists of matrix proteins as well and boosts the performance of memory T cell responses. Researchers proved that co-administration with inactivated or recombinant HA protein-based vaccines can simultaneously increase strain-specific responses in adults 50 and above. This combination is capable of recognizing of multiple influenza A subtypes. That’s definitely a step closer to creating a universal flu vaccine. I would guess that at the very least there could be one vaccine for each flu subtype until a true universal one can be created. I’d like to see the study done again with a vaccine besides H5HA. A universal vaccine would be a major achievement in the world of medicine. I was interested in how a universal influenza vaccine for each of its subtype would be great. As you mentioned about studies beside H5HA, some other studies have involved the major strains such as H1N1 from 2009, these studies have focused on the HA protein in the influenza virus. These studies focused on The HA protein, but this article posted above focused on the NA protein. A study on a universal influenza (1) focused on the HA protein instead of NA protein. As stated in this research, the hyper-variability of these protein contribute to the constant antigen shifts and drifts but the focus on HA would be beneficial compared to NA protein. But if these antigen have these regions that are constantly changing, is it possible to create a universal vaccine for the influenza vaccine? All the information that we have on the influenza is important, finding a universal vaccine that will target both the HA and the NA in equal amount of potency should be considered. Great insight on the universal flu shot topic. It led me to propose the question, is a universal vaccine essential? Initially I thought so, one vaccine to cover all the variations of this virus sounds beneficial. However, after researching I got a new take on the idea. Though it would be helpful in the present, how would it affect the future if a new strain arises? I think it would be detrimental because the vaccine wouldn’t be evolving as the virus does. As mentioned above viruses undergo antigenic drift every season that alter the infectivity of the strain. This mechanism consists of amino acid mutations in the HA globular head domain that often lead to alterations in the pattern of glycosylation. Vaccines use antibody specific protection against this virus and is why annual updating is essential. By updating our vaccines every season we would be keeping up with the rapid modifications and thus aiding in preventative methods of the future. An article I found proposed that a plant based universal vaccine could be created from the extracellular domain of the M2 protein (M2e). A plant based expression system was favored because it is able to produce recombinant vaccines that target both M2 and hemagglutinin. They found that the M2e-based vaccine can stimulate broad-range protective immunity. There is a huge level of controversy that exists against vaccinations worldwide. Although many believe that vaccinations shouldn’t be administered, there are many who believe should. In my opinion, the ideals of vaccinations revolve around this whole concept of herd immunity. Herd immunity is the resistance in spreading a contagious disease by having majority of the population immune to the disease, so that the chance of spreading the disease to the few who are not immune is slim to none. With that being said, the article above focuses on Neuraminidase-Reactive (NA) antibodies and how the current day influenza vaccinations induce neutralizing antibodies against the NA bodies of the virus. The findings portray that the induction of NA antibodies during natural influenza infection potentially plays a role of protection against a variety of influenza viral strains. For many of the older influenza viral strains, hemagglutinin (HA) was used to enhance the efficiency of vaccinations. From the study conducted in this article, I was prompted to further understand the role of NA to enhance protection against influenza viral strains, and whether it really does link itself to immunity against the influenza virus. After having completed additional research on this topic, I come to understand that the NA antigen in a variety of influenza viruses has proven to correlate with immunity against influenza in humans. NA is found to be a tetrameric type II transmembrane protein that has an enzymatic function that cleaves terminal sialic acid from glycan’s on the host cell surface, also known as a process termed as receptor-destroying activity. NA plays an important role in the virus life cycle as it targets protein via antibodies to further inhibit viral replication. The link attached further explains further in detail how Neuraminidase-based immunity contributes to influenza virus vaccinations. The post discussed that targeting neuraminidase could provide a better vaccine. This made me consider if this same method is being used in other treatments for influenza and I found that it is being used in antivirals. Antivirals such as oseltamivir and zanamivir, are neuraminidase inhibitors that are used for the treatment and prevention of influenza because they prevent new viral particles from being released. However, they are finding that the influenza viruses are becoming resistant to the antivirals. I wonder if this would be a possible problem for a neuraminidase targeting vaccine? Your comment about the virus becoming resistant to antivirals made me consider possible targets other than neuraminidase. Antisense oligonucleotides (ASOs) are pieces of genetic material that can bind to specific RNA molecules and block protein production necessary for cell growth. During a study performed to test their efficacy, it was shown that they are not toxic to the host cell. This should be an important consideration when developing a treatment. Although they are specific, these ASOs showed that when combined, they promoted the response against influenza. By taking these virus RNA regions that the ASOs were successful against, it could be possible to use them as new targets for treatment. With further research, ASOs could be implemented into antivirals and possibly even vaccines. Many people receive influenza vaccines each year and yet it is still possible to contract the disease. Currently, reliance on the immunoglobulin IgG is used as the main component of the yearly vaccine. However, not everyone gets a vaccine shot and this can lead to larger epidemics throughout the world. Recently, there have been studies that focus on more natural remedies to block binding of influenza to host cell receptors. The article cited delves into research of a slug that has to potential to possibly create a newer vaccine that would help prevent influenza. The slug that was examined was the P. boraceiensis. The mucus that it produces contains polyunsaturated fatty acids. Experiments done with the slug’s mucus provided results that showed prevention of influenza virus binding onto the host cell. In addition to this study, other recent studies have also concluded that lipids have the potential to play a role in immunity. The importance of these studies show that there might be a possibility to allow for the adaptive and immune response to develop a technique to rid influenza through the use of macromolecules that are already within the body instead of introducing an attenuated version of the vaccine. This could possibly also lead to possible solutions to fighting antigenic shift and drift. Influenza is one of the biggest diseases we face today and millions of people are affected by it. Neuraminidase is an influenza surface protein that is targeted by the influenza vaccine. This would increase protection against the virus strains and lessen the severity of the illness. However, as of now, the influenza vaccines target hemagglutinin which is a more abundant influenza surface protein. Because these strains of flu viruses can switch every season, and can also mutate, therefore manufacturers need to develop a new influenza vaccine every year and people need to be re-vaccinated each year. The vaccine development process is the same every year, it is just that the starting vaccine virus that we immunize against has to be identified before it can be used. When the virus is identified, it is then increased in the body to develop more virus. Then that virus is further amplified to create the large quantities of vaccine virus that we need to prepare an adequate supply of vaccines to protect our population. That amplification of the virus, and the making of large amounts of vaccine virus, can occur in eggs, which is the more traditional way, or it can also occur in cell cultures. Despite many controversies about vaccination, I believe people should get vaccinated and be protected against influenza virus. it is important to explore a better way to improve vaccines against the seasonal influenza virus. The blog post highlighted the importance of Neuraminiadse based vaccines which has proven to be able to fight against a broader range of strain. In an effort to the further improve the potency of a vaccine, researchers have a combination to different vaccines to determine their effective in chicken. Layer chickens were vaccinated with baculovirus-H5 prototype followed by a rHVT-H5 and then boosted the baculovirus-H5. It was established that this combination were able to induce A1-H1 antibodies better than the test subjects injected with just with type of the vaccine. I believe that these type of vaccine combinations could be geared toward H1N1 and H3N2 strains which are known to infect humans and therefore provide a better immunity against inluenza virus. Vaccines could be very controversial and one of the many reasons that people can be so against them is because of the components and their dosages in the vaccines. I was looking at the article and decided to do some further research on the neuraminidase dosage in flu vaccinations. I wondered if there was a set limitation on the quantity of both HA and NA dosages and if all influenza vaccines had the identical amounts since flu vaccinations are universal despite the multiple pharmaceutical companies that distribute them. After research, I came to find that although both hemagglutinin and neuraminidase induce a protective immune response in humans, only the hemagglutinin antigens have specified quantities in influenza vaccines and not neuraminidase. In an immunoassay and complete analyses of a total of 8 different commercial trivalent vaccine samples (all with identical vaccination seeds), it was determined that the quantity of neuraminidase showed significant differences in NA levels. The ratio of HA and NA ranged from approximately 1:5 to 1:100 which is a level far below the theoretical ratio between neuraminidase and hemagglutinin in viruses. I wonder what the criteria are, or if any exist, regulated by FDA or the company itself to not have a significant difference in HA and NA levels in influenza vaccines. It was interesting that NA levels could be so high in comparison to the HA levels in some vaccinations.